1. Players line up as shown with all of the forwards along the boards - lines together. 2. 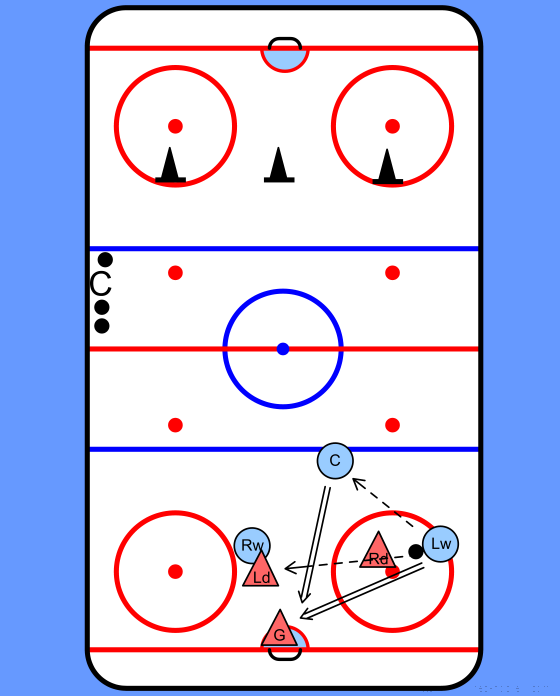 Players start on coaches whistles and follow patterns as shown. 3. 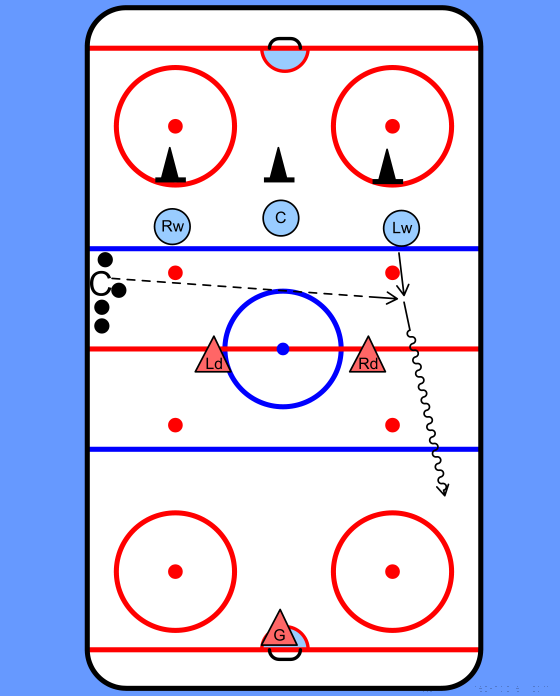 Coach randomly selects a forward to pass it to and they go in on a 3 on 2. 4. 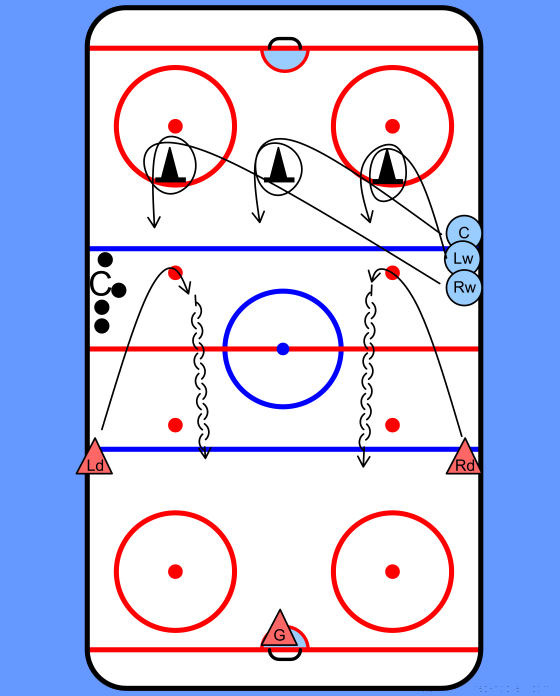 Stress to the forwards to either go to the outside and play the triangle or dump it in and fore-check.